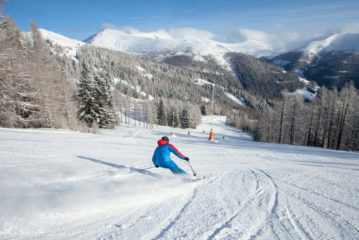 In Bad Kleinkirchheim, guests may quite literally immerse themselves in the rolling hills of the Nockberge mountains. 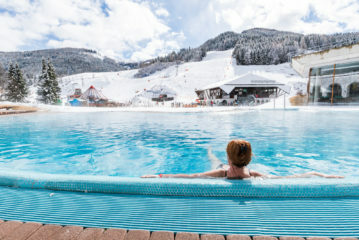 The region not only fascinates with its multi-faceted blend of mountains and lakes – the town of Bad Kleinkirchheim itself also has 2 thermal spas. THE sunshine moment for those in need of rest and relaxation. A deluxe sauna & wellness landscape that stretches across 12,000 square metres and 3 floors. The “Romanum” on the ground floor pays homage to the name “Römerbad” (Roman baths), and the shape of the 4 saunas is reminiscent of Roman vessels. 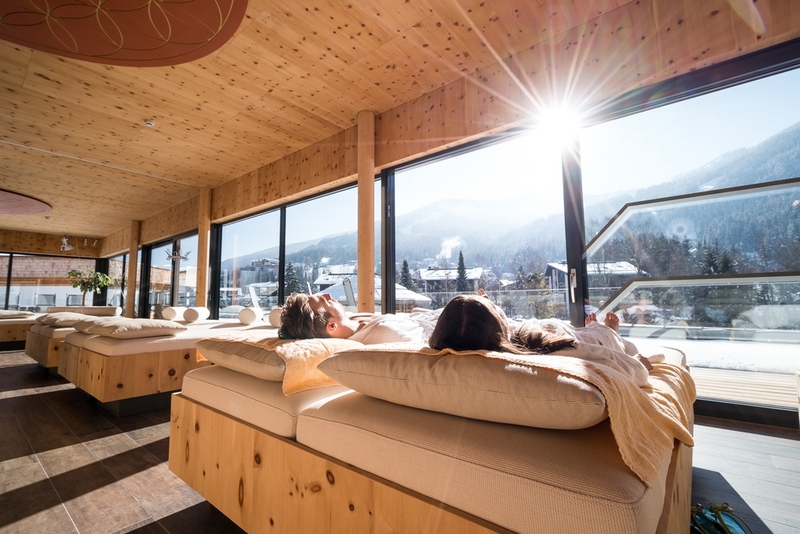 The “Noricum” on the second floor reflects the natural setting of the Nockberge mountains, with stone pine wood and the fragrance of mountain herbs that fills the saunas. The “Maximum” on the third floor delights visitors with a range of saunas and a breathtaking view of the surrounding mountains. Visitors may also replenish their energy levels with the free workshops that take place in the meditation room. Courses range from the “Five Tibetans” to chakra meditation and Qi-Gong. A stint on the sound bed promises in-depth relaxation and improved overall well-being. The “Aromaticum” takes you on a wonderful journey to the world of fragrances and essential oils. Expect a double helping of sunshine moments at the Familien- & Gesundheitstherme St. Kathrein, newly open since it was fully renovated in 2017. 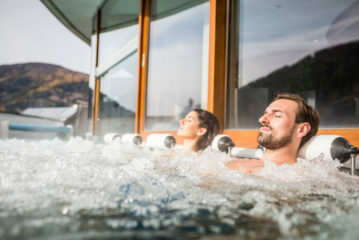 With 1,200 square metres, it boasts the largest water surface area of all Carinthian thermal spas. The 86 metre slide is also among the longest in the country. No wonder that children of all ages are delighted with this offer! Those in search of relaxation will also be catered for. 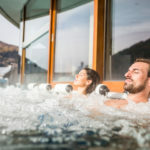 Whether in the wellness pool with panoramic views, in the stone pine quiet room with sun terrace or the multi-faceted sauna landscape: this is the place where body, soul and spirit come to rest. The health centre nock/MED, headed by sports and spa physician Dr. Eckart Waidmann, is integrated in the Familien- & Gesundheitstherme St. Kathrein. The main emphasis of the health centre, which was also fully renovated in line with state-of-the-art guidelines for lifestyle medicine, lies on prevention. A professional team dedicates itself to preventative treatments for the young and young-at-heart. Massages, packs or physiotherapy units may be booked individually and are customised to suit personal requirements.